Pinewood Steading is a converted stone steading set in 3.5 acres of mixed birch wood and pine trees providing a peaceful haven in a secluded location. We are a Gold Award Member of Green Tourism, demonstrating our commitment to running a sustainable and green business. 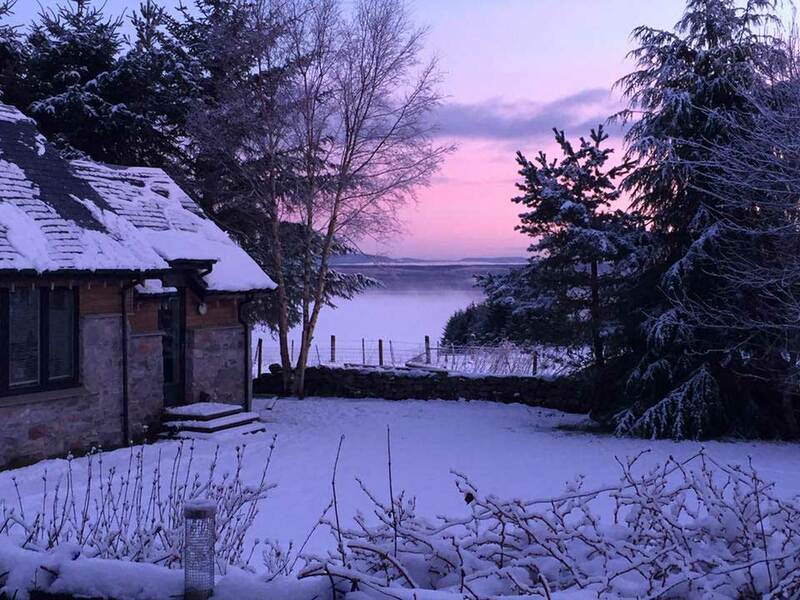 Pinewood has captivating and uninterrupted views of the Beauly Firth, the Black Isle, Ben Wyvis, and the hills of Strathfarrar. On a clear day, you can see the mountains of Torridon. We are on the doorstep of many attractions and activities, and still within easy reach of Inverness and Beauly, the Great Glen, and Glen Affric. A great location for walking in Strathconon, Strathfarrar and Glen Affric. Pinewood is aperfect place to get away from it all, to relax and unwind, to have a physical and mental detox from fast paced living, to connect with wilderness and nature. The steading is immaculately presented and well-equipped, with wheelchair access. The underfloor heating provides warmth throughout the year and the wood burner is a wonderful addition for the Highland winters. The main living area is open-plan, with a warm welcoming lounge leading into a large kitchen which is bright with a large cathedral window, modern and well-equipped with wonderful views of the Beauly Firth. The main double bedroom is particularly large, also with a cathedral window, and a king size oak bed. It also has a cosy seating area with a library of books, where you can sit for a while for some quiet time. The second bedroom can be either a twin or a super king. The bathroom is a very good size with both a shower and bath and great views over to Ben Wyvis. Outside, there is decking and a BBQ area along with some garden furniture, so you can really enjoy those views. Pinewood is 5 miles from Loch Ness, only a 20 minute drive from Inverness, 35 minutes from the airport, and 10 minutes from the picturesque village of Beauly. We sit on the doorstep to some of the most spectacular scenery and mountain ranges, yet have easy access to local amenities. We appeal to walkers and tourists alike, with hill, mountain and forest walks nearby, castles and distilleries, or visit Loch Ness for a cruise. 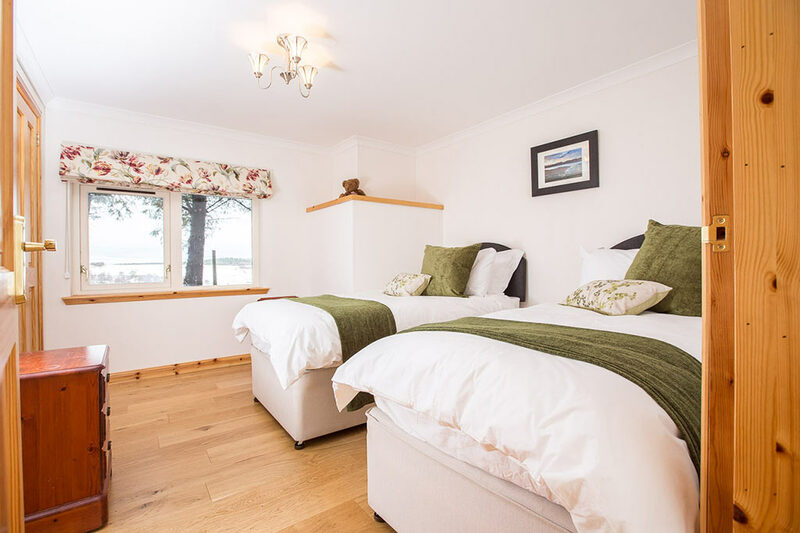 Come and enjoy the peace and tranquillity or pursue outdoor activities, coming home after a good day out to relax in the charm of Pinewood Steading. Read wildlife photographer and WDC Field Officer Charlie Phillips’ tips on things to do in the Inverness and Black Isle area. Tony Jackson, an artist on the Black Isle, also suggests things to do on the Black Isle and beyond.